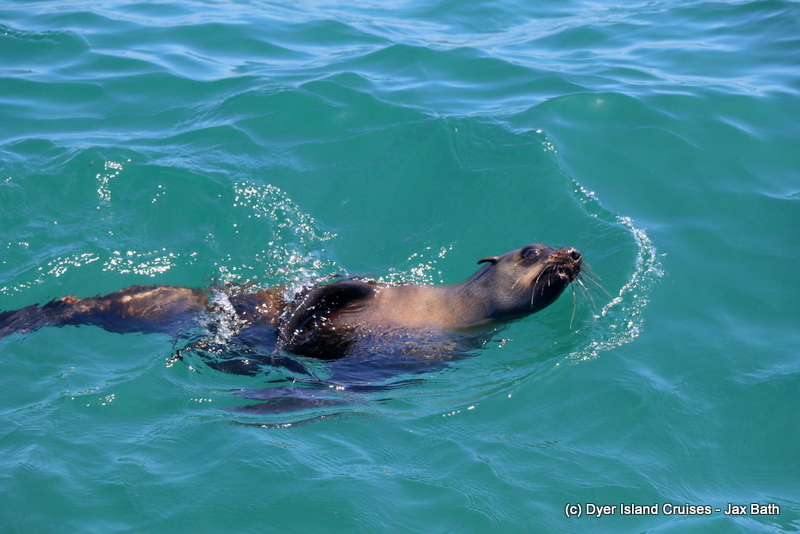 Today’s tour was a fantastic one, with many weird and wonderful species coming out to play. 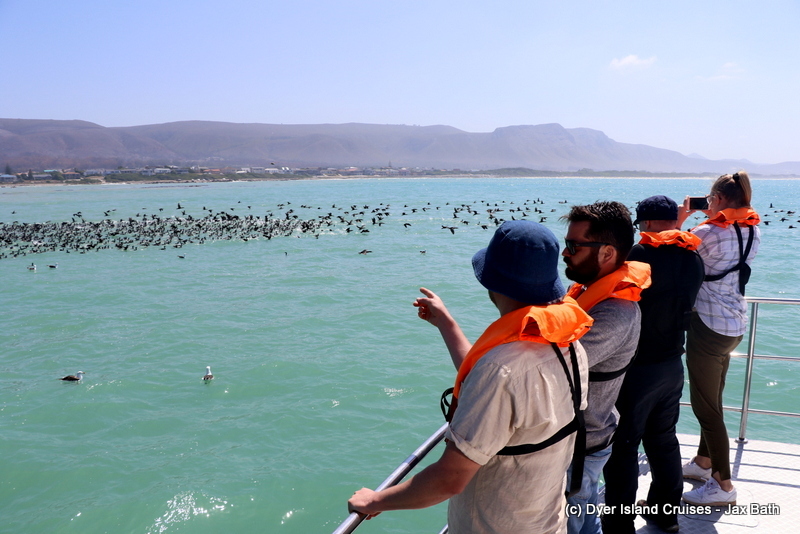 Our first sighting of the day was a flock of Cape Cormorants, who were all sitting of on the water as we made our way to the beaches of Uilenkraalsmond. We hoped that our luck would continue on, as the sight of thousands of birds descending on the water is definitely tough to beat. After watching the birds bath and listening to the sound of their wings as they took off, we hugged the beaches along and made our way into The Shallows. With the water being a little chilly, the sharks are a bit sluggish, so it was decided that we’d do a little more travelling to see what else the ocean had in store for us. We spent some time travelling along our reef systems, taking about the oceanic forests growing below and picking up a piece of kelp which had become detached from the bottom of the rocky reefs. 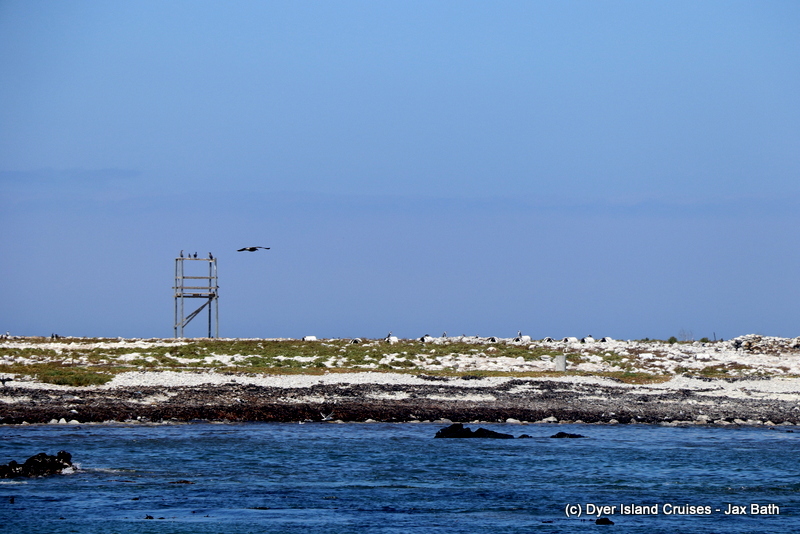 After having a look at this fast-growing plant, we checked out Dyer Island where about 27 different bird species can be sighted. We hung out in front of the island, checking out the penguins on top of their domes and listening to the Swift Terns before giving our seals a turn to shine. Shark Alley is the highlight of any tour, with our favorite oceanic Labradors providing entertainment for days. 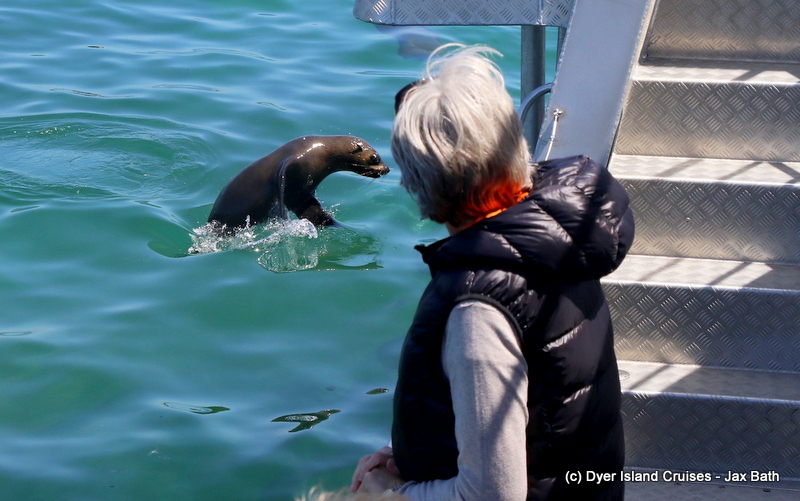 Not only are our pups stealing our hearts, even the older seals are giving us a show, leaping out the water right next to the boat to strut their stuff. We also had our usual napping seals enjoying a snooze on the island and after a good few passes, we decided to head towards Danger Point. 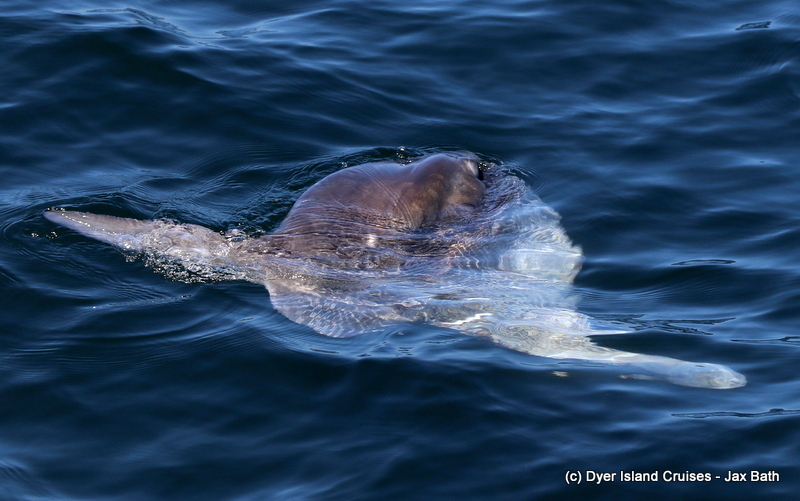 Here, we were treated to spot of the day, when we had an incredible interaction with an Ocean Sunfish in Crystal Clear water. 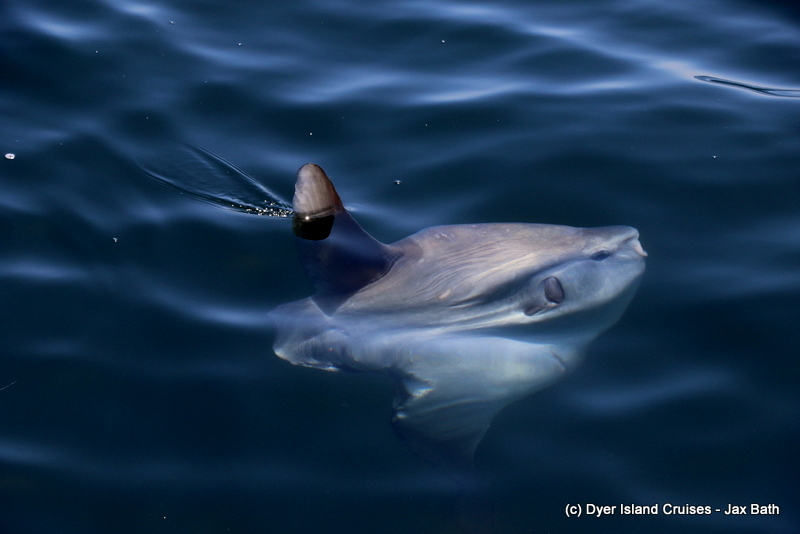 We happened upon the Sunfish in the deep blue, and spent about 30 minutes watching this incredible creature live up to its name sake. 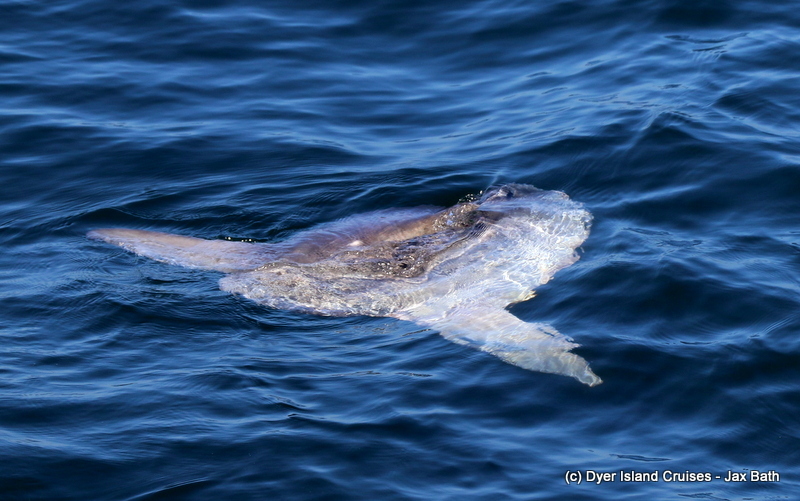 The Sunfish lay on its side and basked at the surface for a bit, before turning upside down and then doing some spy hopping. These behaviors are not often seen from our vessels, and we thoroughly enjoyed watching this giant fish, before making our way back into Kleinbaai Harbor. 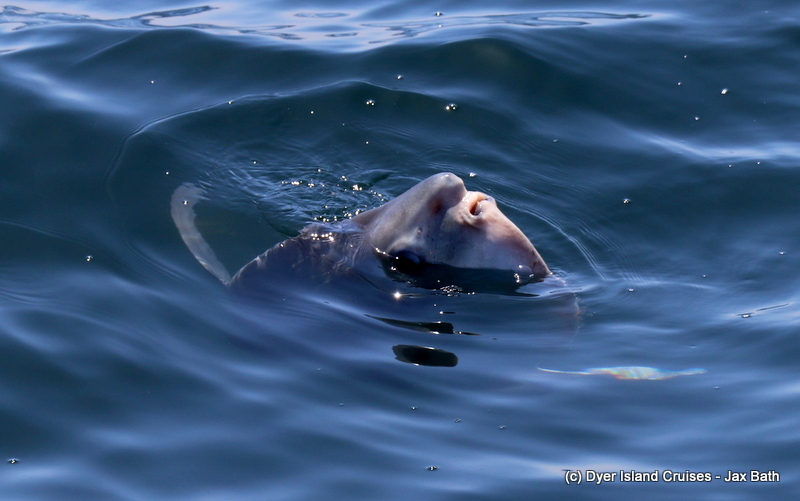 A Sunfish doing what looks like a spyhop. A great view of the fish swimming through the clear water. 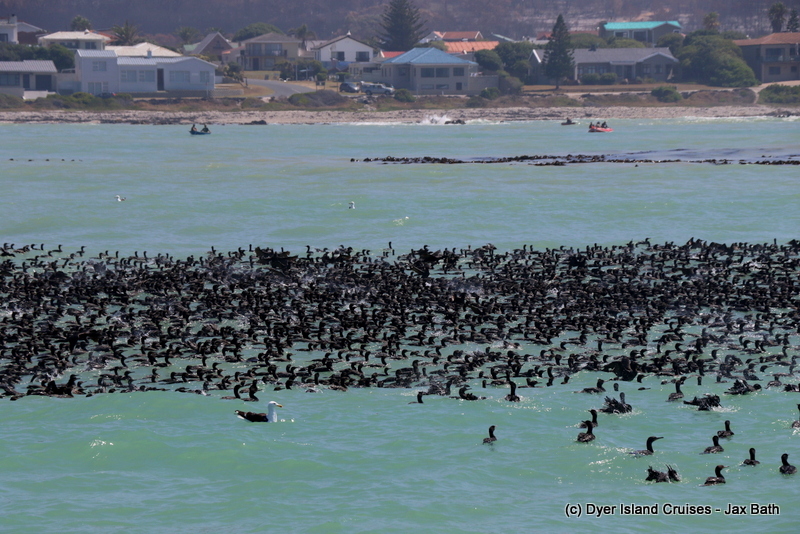 A great way to start our tours, with the Cape Cormorants. 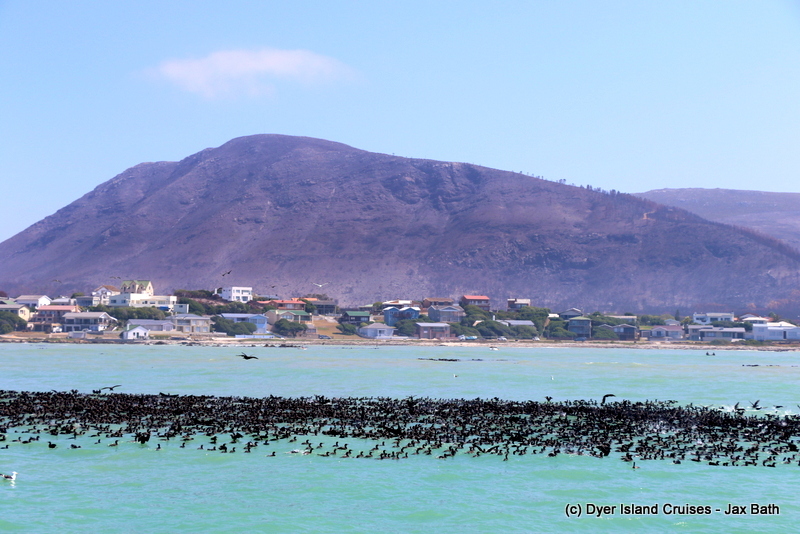 The Cape Cormorants with Gansbaai mountain in the background. We spent some time watching these birds take a bath before they head off fishing. 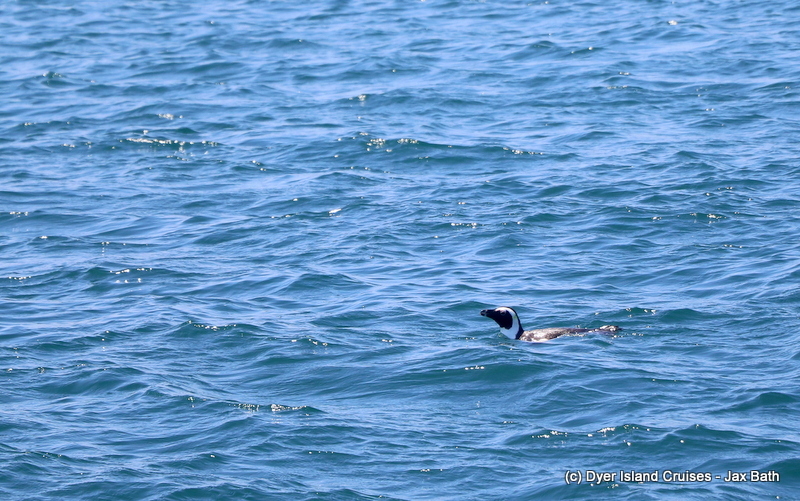 A little African Penguin we found in front of Dyer Island. A seal checking us out. 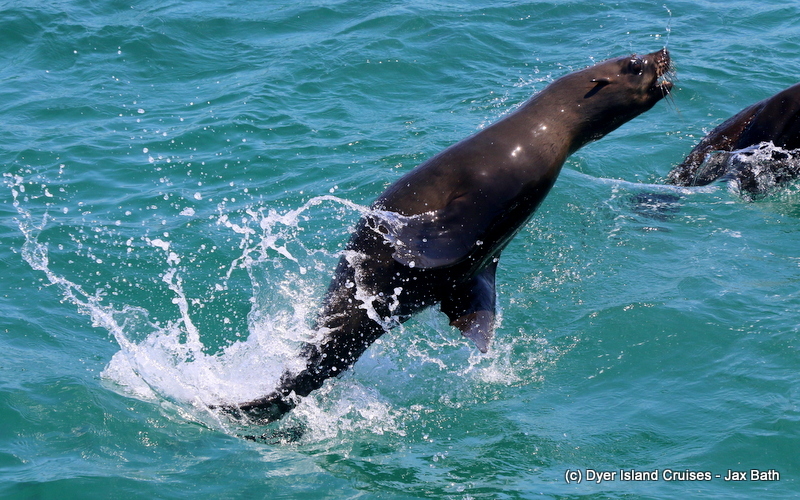 A jumping seal having a look at the boat. 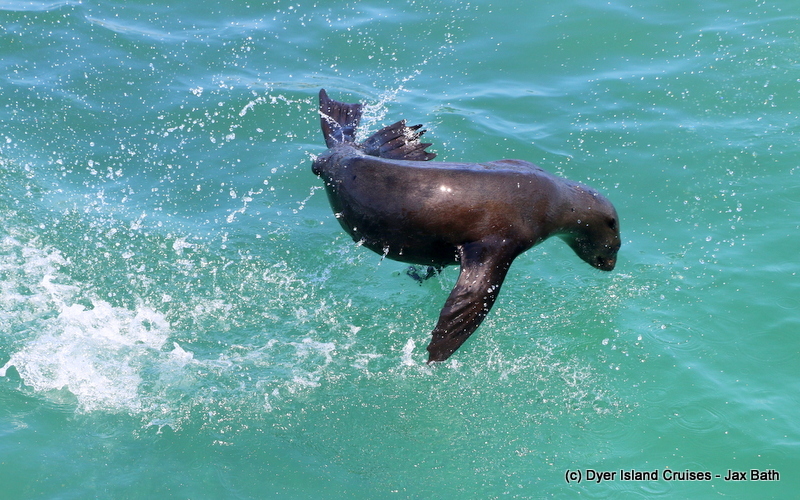 These seals sometimes swim behind us in little gangs, showing off for us. A very skilled little jump. 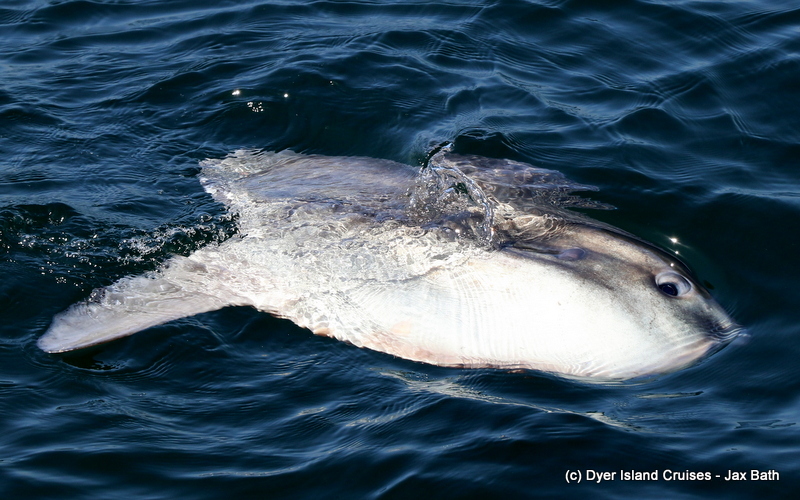 It was really strange to watch this Sunfish turn upside down. 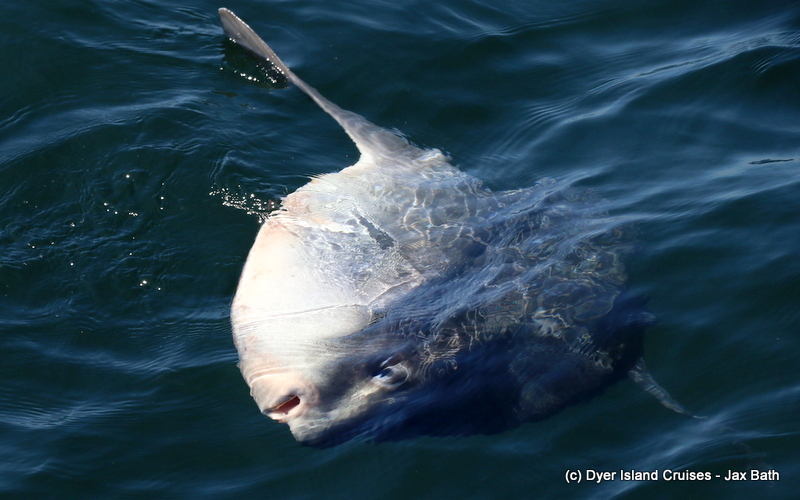 We could not get enough of this Sunfish.